It feels like we just watched the Giants win the Super Bowl but a year has passed. The Giants will not be winning this year but we are back to have some fun and raise some more money to find a cure for cancer. Every year there is a personal story behind the fundraising. Last year the funds went to support the fundraising of my wife, Crea Wilno, a 2x cancer survivor that was competing in the 2012 Lavaman triathlon. 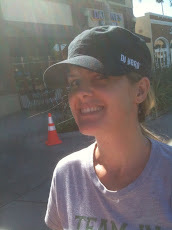 Thanks to your help, she was able to raise more than $10,000 which earned her a top 10 fundraising spot for the race. This year we are raising funds for Ryan Mattingly. I am racing 216.8 miles for Ryan who in 2012 was diagnosed with Non-Hodgkins Lymphoma........a result of having a kidney transplant at the age of 8 years old. Ryan is now 19 years old and fighting a different battle. You can read all about this story by going scrolling back 2 blog entries or by clicking HERE. In the meantime, we hope you have a blast........we wish you luck.............and please know your proceeds are going to a great cause. In case you have never participated in a Super Bowl Pool..........it is very easy. Each pool has 100 boxes that are assigned a number for each team in the Super Bowl. For each $20 box you play, you will be randomly assigned two numbers........one for the AFC and one for the NFC. Using last year as an example, you may have been assigned a 4 for New England and a 0 for the NY Giants. If this were the case you are rooting for any score that has New England ending in a 4 and the Giants ending with a zero (NE 4 - NY 10, NE 24 - NY 0, NE 14 - NY - 30, etc, etc, etc). 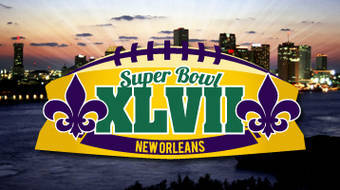 The Super Bowl will be held on February 3, 2013. We sell out the pools very fast so get in as early as possible. Last year we actually sold out two pools. * We randomly place you in a box on a 10x10 grid. Each box contains two numbers - one for the AFC champion and one for the NFC champion. If the numbers match the score at the end of each quarter you win! Just to be clear, we literally randomly place your name in the grid and then randomly pull numbers for the grid. It takes a while but it is the most fair way to do it. Thanks! And, Happy New Year!